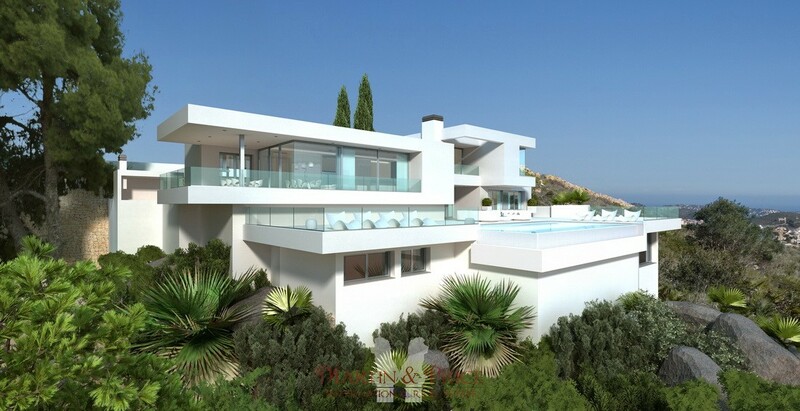 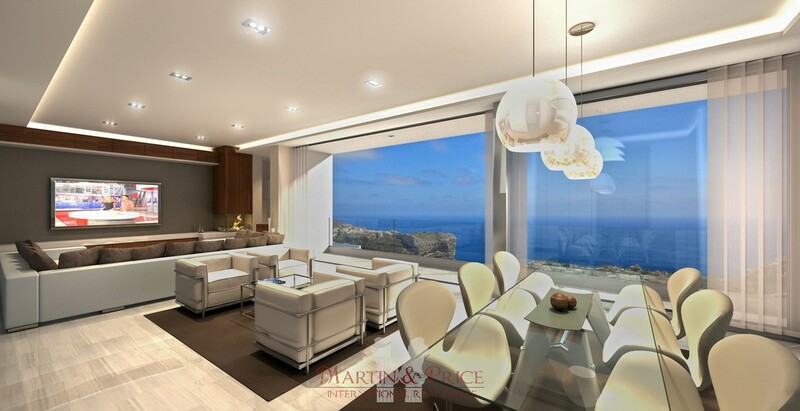 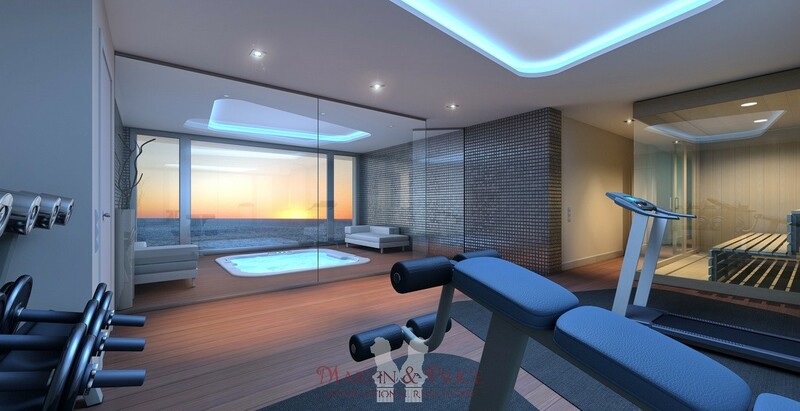 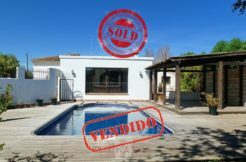 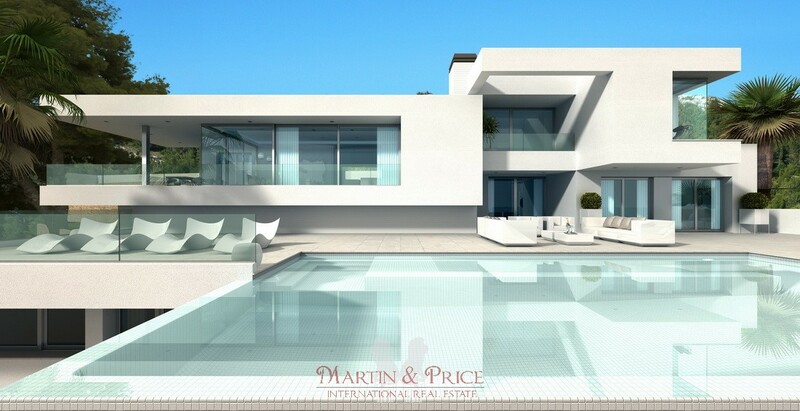 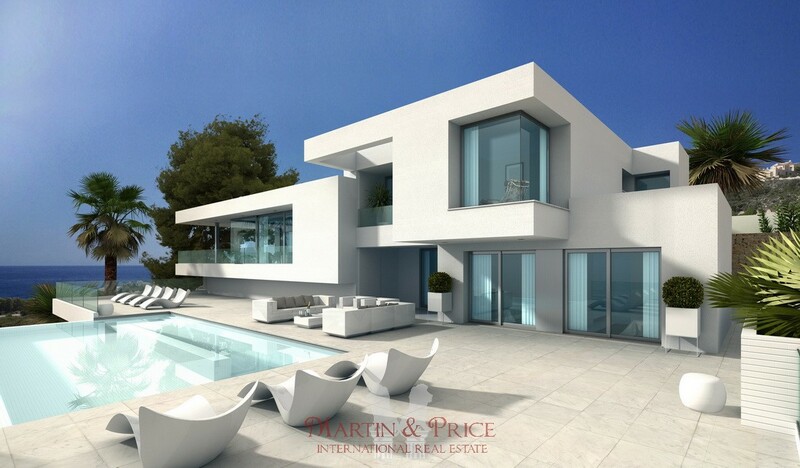 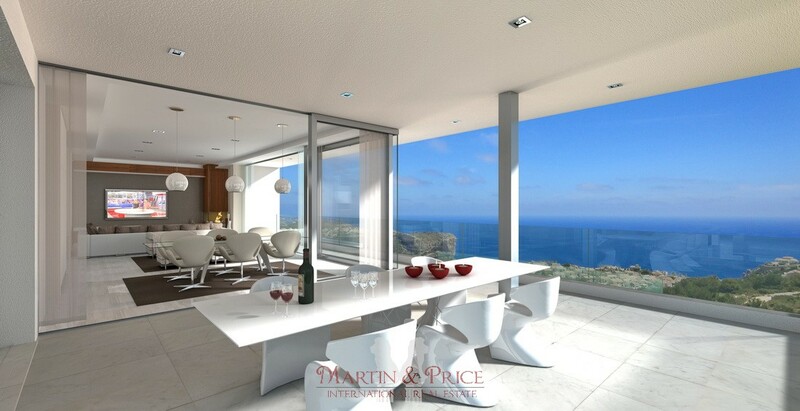 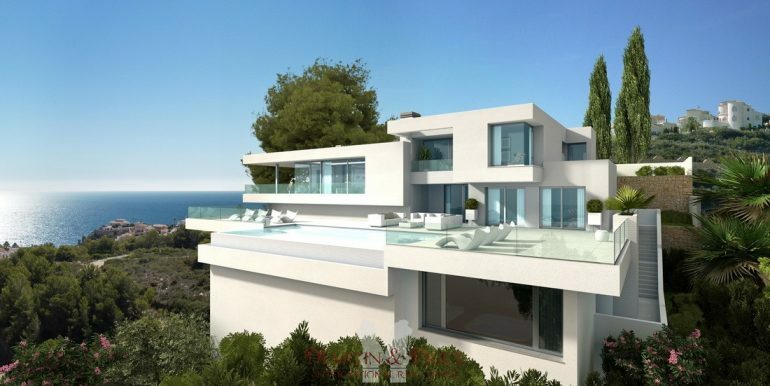 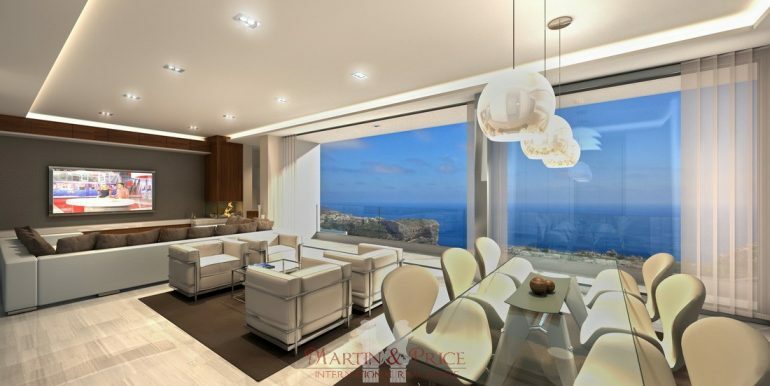 An immaculate white house situated in a unique location, which stands out for the exceptional views, the frontal view gives us a panoramic picture of the Mediterranean Sea and the island of Ibiza and looking down, a perspective of the entire residential estate, which reaches its maximum beauty at dusk. 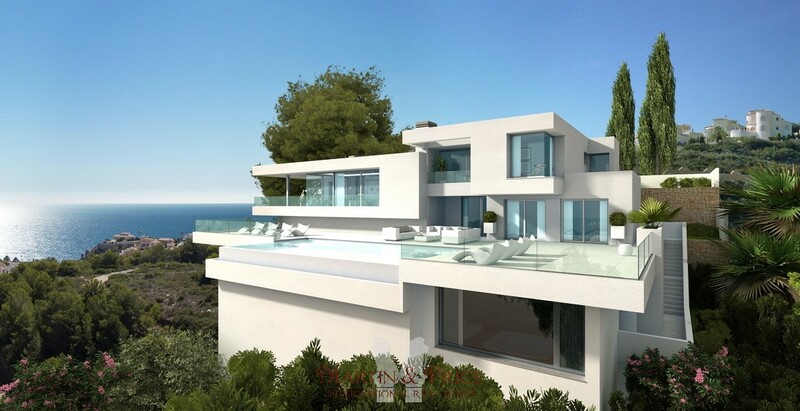 The façade is clearly a composition of two differentiated parts, one of them is a cube form that houses the villa’s 4 bedrooms: 3 bedrooms with en suite bathrooms and fitted wardrobes and the master bedroom which, in addition to the large en-suite with bath and shower, also includes a spacious walk in wardrobe and office. 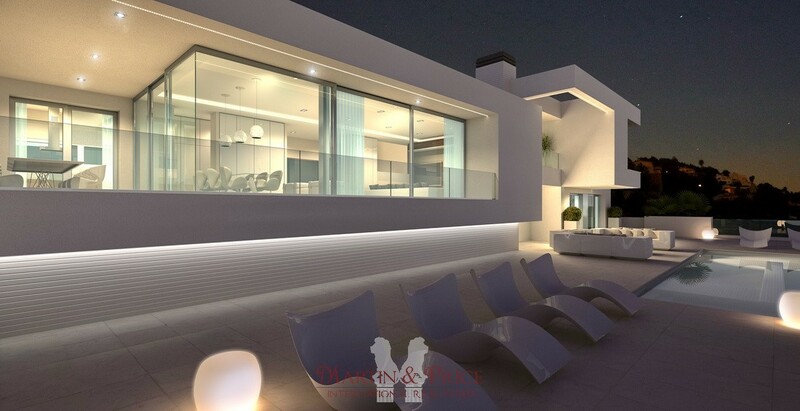 The layout of this section is completed by a large garage for three cars and a games room, with a veranda and access to the pool area.